It’s been a while since I heard of it and really dying to try their food. Since we got time, we head over to Pioneer where you can find Locavore, the restaurant is near Ace Water Spa and just at the back of Pioneer Center. You can dine inside the restaurant but if you want a more open space, they also have tables outside, so make sure to call them ahead to make a reservation if you want to dine inside the restaurant. 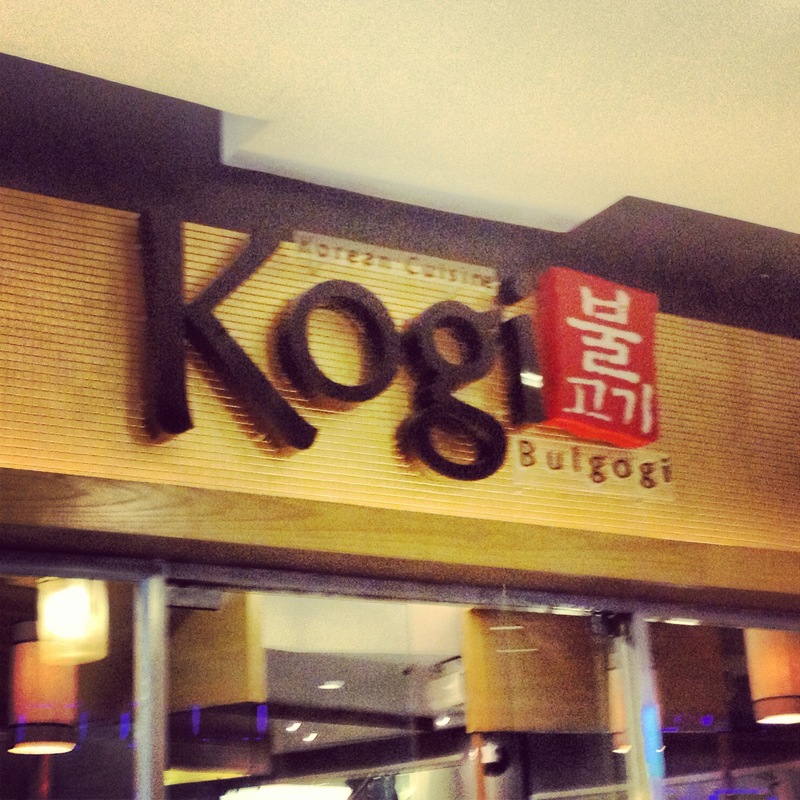 Different food chains are brewing left and right to different parts of Metro Manila. Backyard Kitchen and Brew at UPTown Center in Katipunan is one of the must try food chain. It’s located on Phase 2 with other restos. What I like about the place is design and interior or the place, it has a cool vibe and the interior is like from Backyard Salvage series (if your watching it, you know what I mean) where they used materials and re-create it to something new. I’m a fan of wood furnishing, I don’t know but I just love the homey feeling that it gives with the accentuated lightnings. One of the must visit places to eat around Marikina is Cafe Lidia, it’s located in a neighborhood area where residential is just beside its restaurant. You just have to find it.. hahahha! Cafe Lidia is a one place were family and friends can get together and still feels that your just hanging on the veranda of your house. 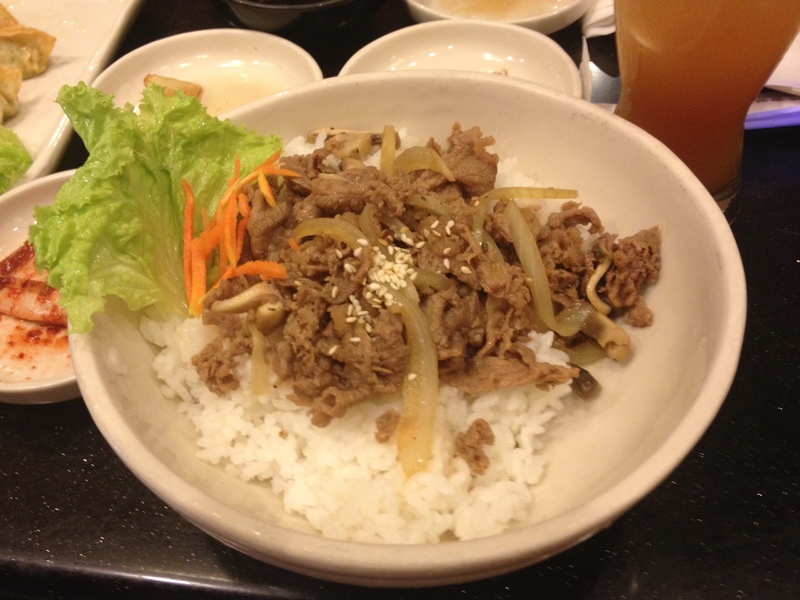 It has a homey feeling and foods and drinks that customers can enjoy. I have been here a couple of times because of the ambiance and of course their food. My friends enjoys a good food and laugh. Overall Cafe Lidia is a nice place to eat and hangout with family and friends, prices of their food is fairly reasonable. Some of their food can be shared if your in a group. The down side is the location of the restaurant, it would be hard to find since its located on the residential and not in the city proper. Be sure to be early because it tends to be crowded and parking is limited. Who says Valentines is celebrated only on the day itself (February 14), no matter what day it is, love should always be celebrated. Since February 15, 2013 is payday Friday and it’s post Valentines Day, its not yet late for friends, families and lovers to spend this day and celebrate Valentines. Friday has always been the most stressful day for me, since I have work to finish and report to submit (chos), my way of distressing is spending time with friends to unwind and getting ready for the weekend ahead. 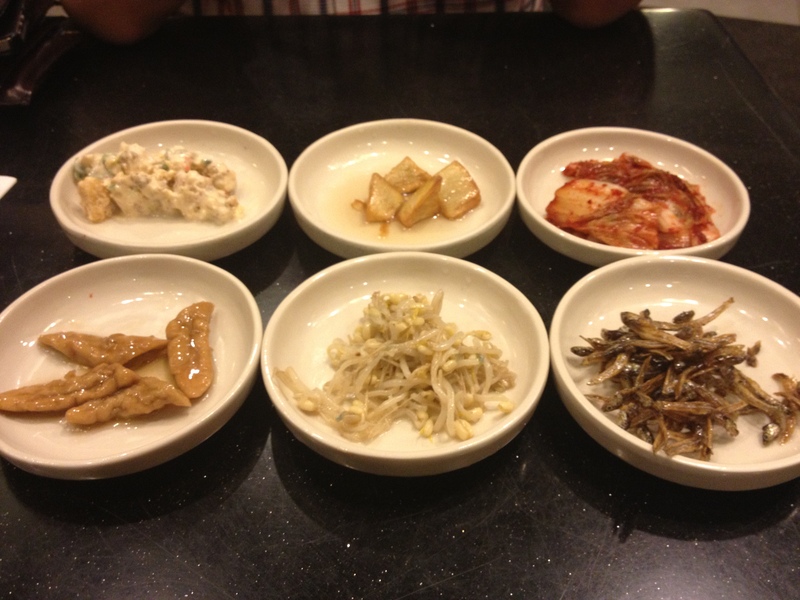 Since I’m a big fan of Korean culture, trying Korean food is a must. 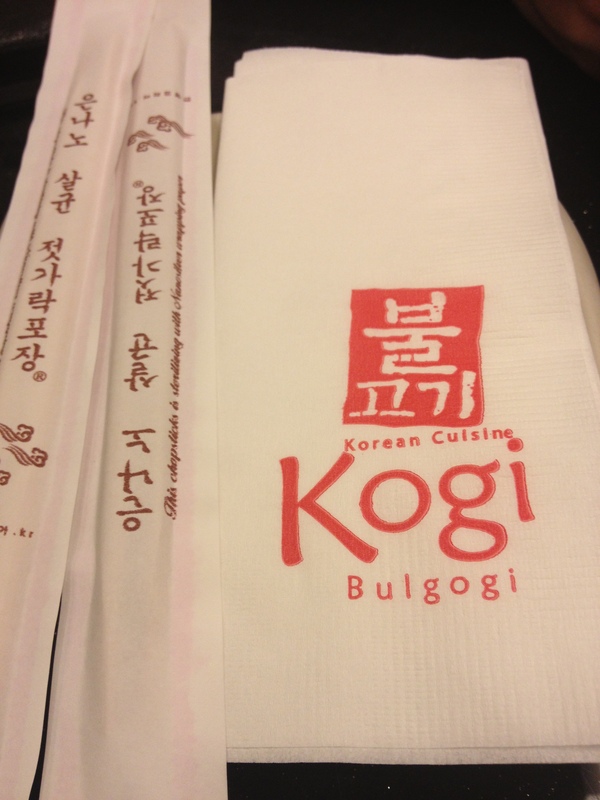 Their menu is limited to Korean dishes, so if you really want to try Korean cuisine in their true nature you can try Kogi Bulgogi, I’m just disappointed with their menu on dessert, because they are only limited to ice cream. I’m so curious what Koreans eat for dessert, i guess they really love ice cream, even in Korean dramas ice cream and yogurts are their choices for sweets/dessert i guess. Prices of their food is average, they ranges from 200php – 400php which is ok since serving size enough and can leave you full. 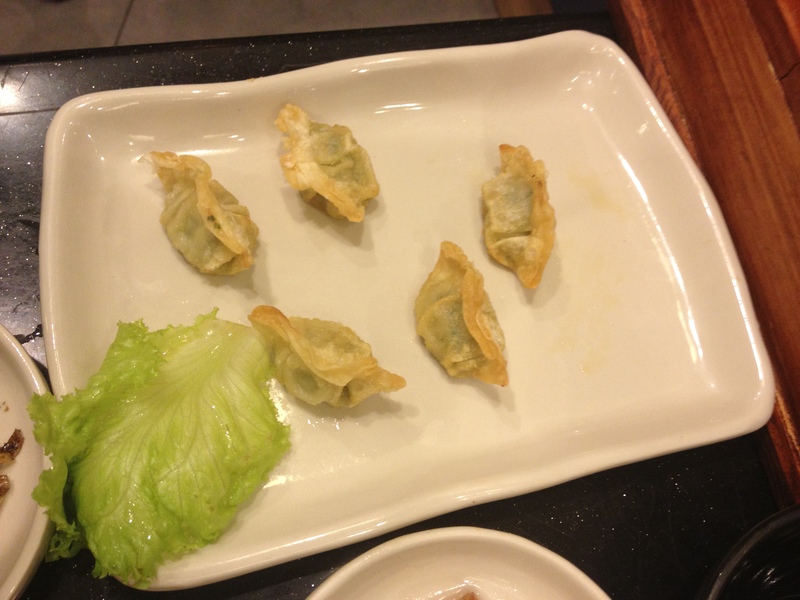 I’m not so sure with the name of the dish but this really looks like Gyoza, only it is the small version. This dish can be eaten steamed or fried, I’m just disappointed because of their serving size, infairness it is really good. You might want to order another one. 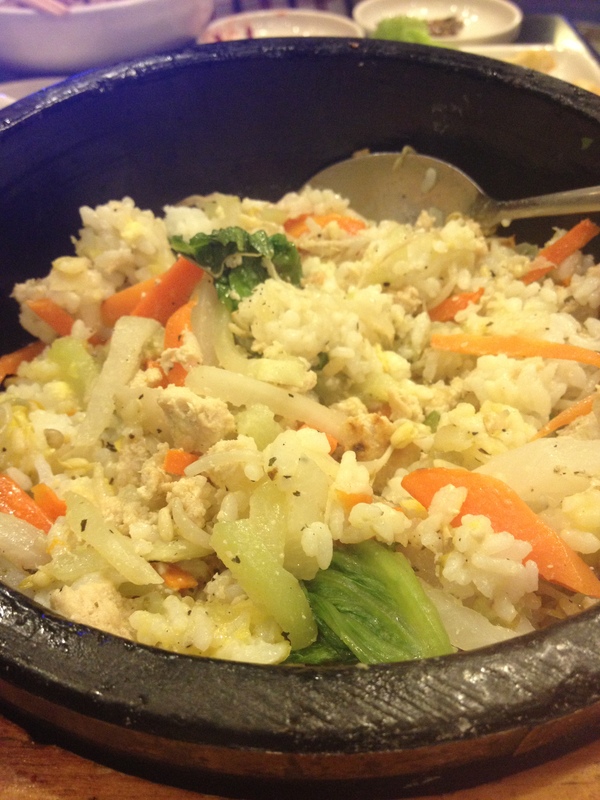 I ordered the chiken bibimbap. YUM! 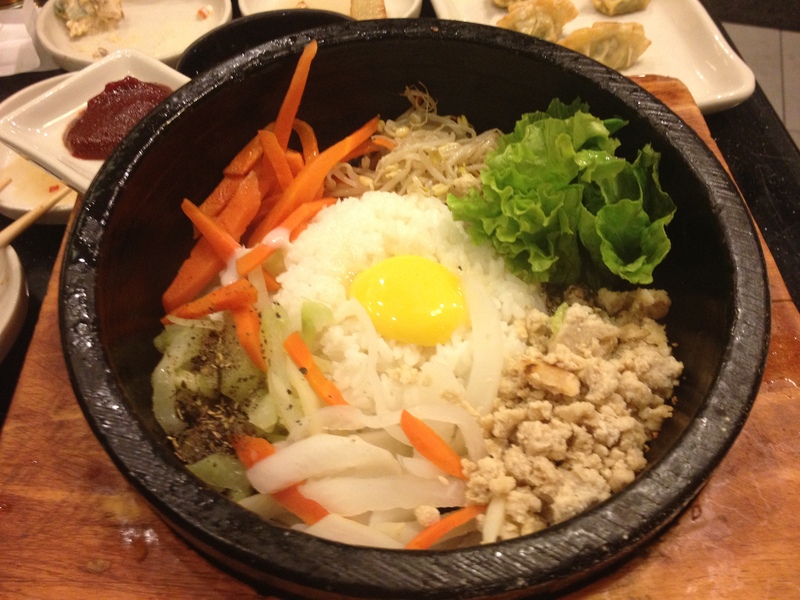 I think the best way to eat a bibimbap is to mix everything and make a good sauce, it makes the food more flavorful. it has a chili paste which is included to this dish. Koreans are known for their spicy foods, but I’m not fan of super spicy foods so to mellow the spiciness I mixed the soy sauce and small amount of the chili paste, and VIOLA its perfect for adding flavor to the dish. 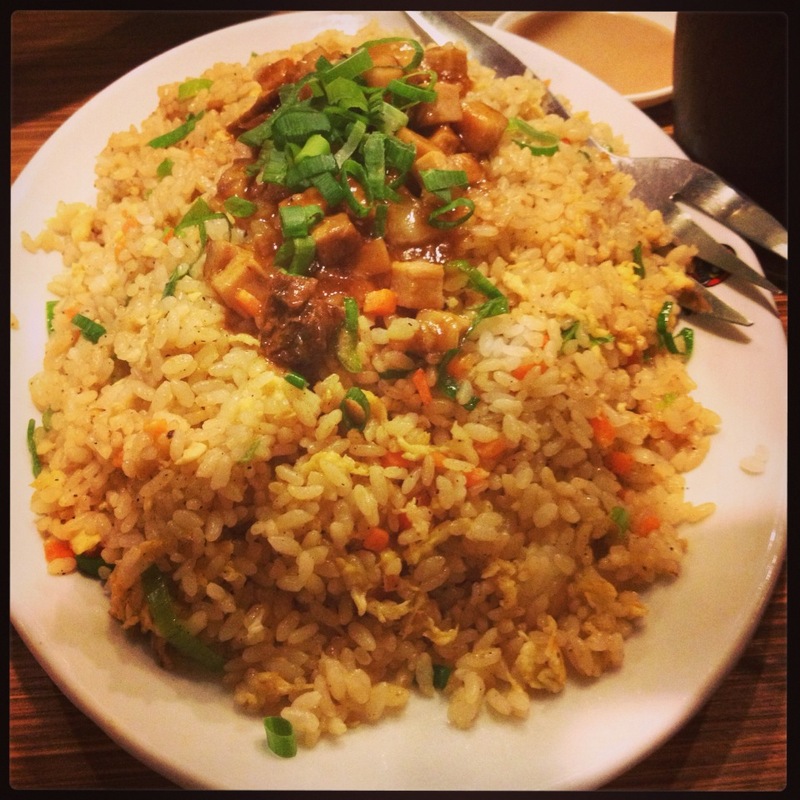 My friend ordered a beef and mushroom rice topping. Simple but very delicious, the meat is just right and tasty. 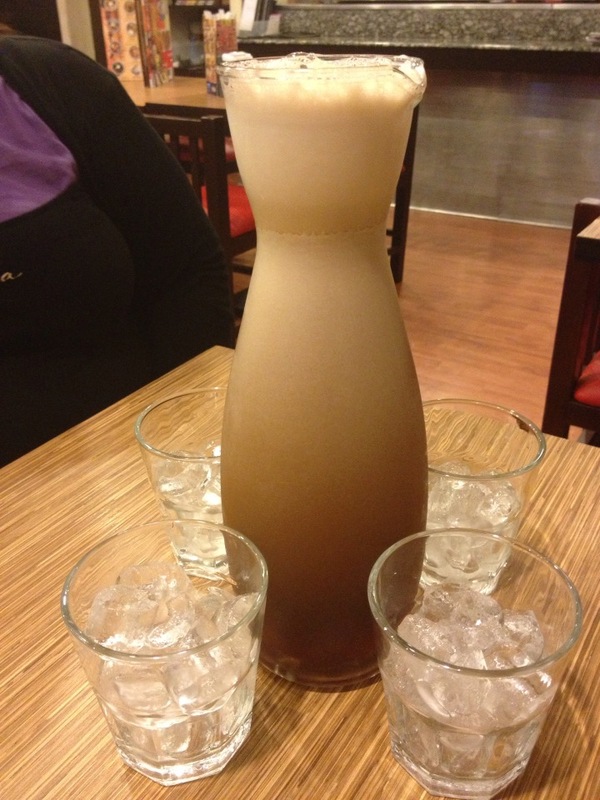 By the way if you ordered an iced tea you’ll get a 1 free re-fill ^_^. 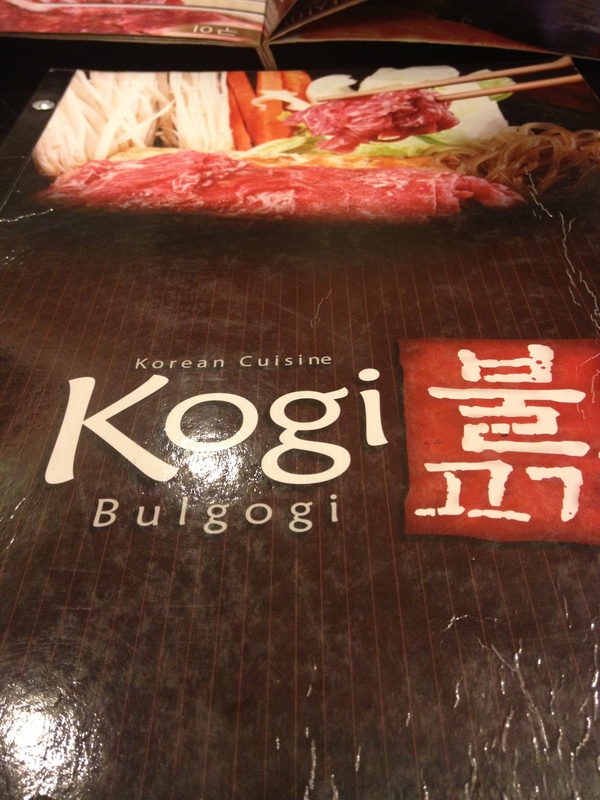 I really enjoyed the food here, too bad I didn’t get to try the lettuce wrap which is also common Korean food. I would definitely come back and try other dishes. 🙂 You should too! Its Friday night after office and what more fun to do, is go out with office mate and unwind all the pressure of work. 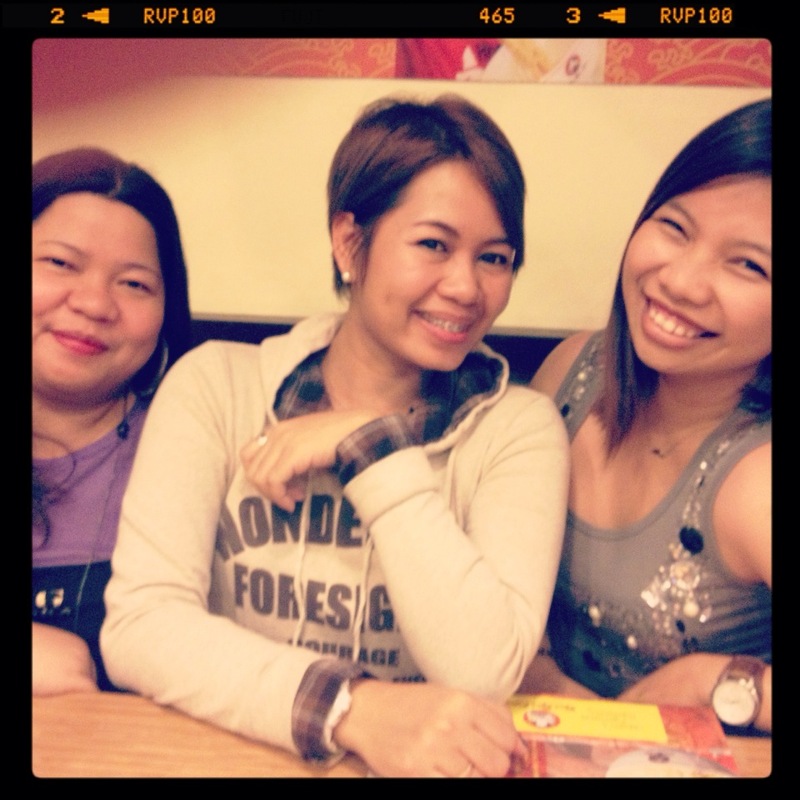 We decided to go out and have dinner in one of the restaurant in Ortigas area. Undecided of what to eat so we just all go for Japanese food so we headed to Rai Rai Ken for dinner. What’s nice about their menu, there are many variations of Japanese food though there are only few dessert to choose from. 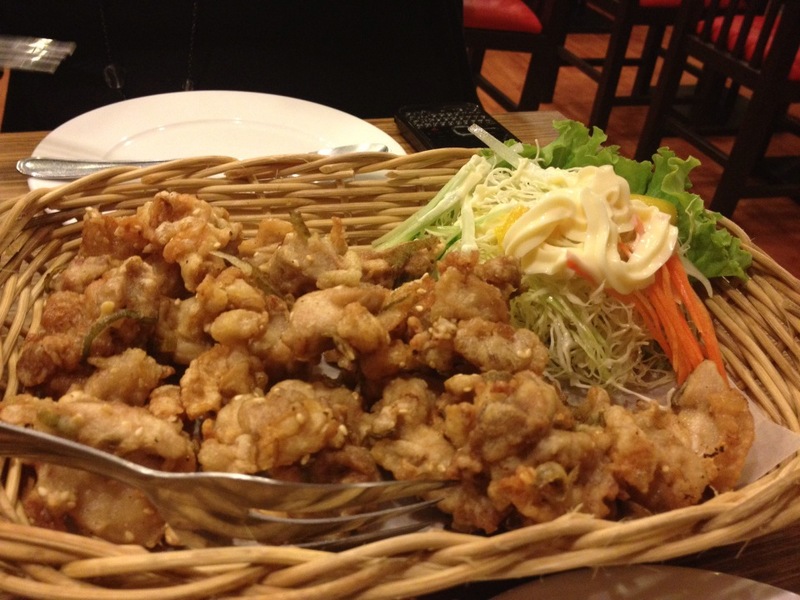 They also have group meals which are very affordable and will leave you with a happy belly. 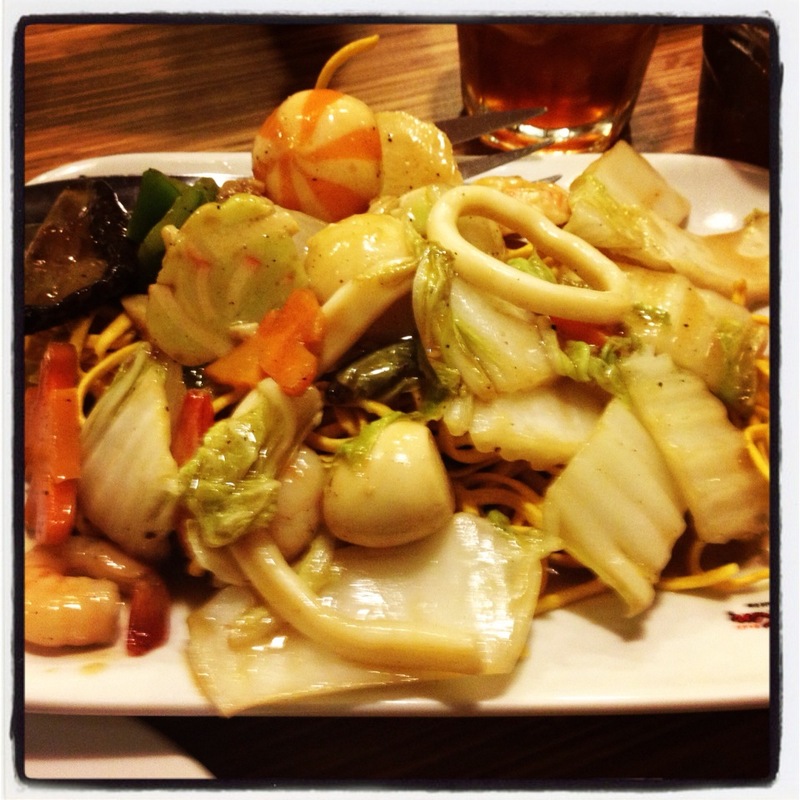 A good company and good food is a way to end your day. my friends call me Fa|th, i love to design and learn new things. I'm a person who wants to experience life and learn from it. Who winged it the most? Sarap oppa-kan ni chingu.. before we call it a week..
going back to where the magic all started! [JAPAN] How to apply for Japan Visa? Live today. Lagaw tomorrow. Capture the moment. im not your usual bunny. im thumper! hello?! remember bambi! A great place to find easy, delicious and family friendly recipes.